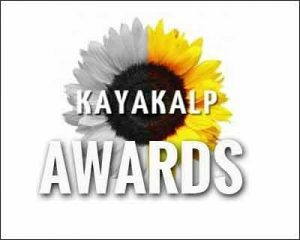 Chandigarh: Union Health and Family Welfare Minister J P Nadda handed over a citation and an award of Rs 1.5 crore to PGIMER, Chandigarh during a function held in New Delhi on Thursday for bestowing Kayakalp awards to different institutes. PGIMER Chandigarh has been ranked second in category A of central government institutions. Along with PGIMER Director Jagat Ram, Deputy Director Amitabh Avasthi and Medical Superintendent A K Gupta received the award. The award’s criteria and weightage were based on internal, external and peer assessment of hospital upkeep, sanitation and hygiene, support services, waste management, infection control, hygiene promotion and feedback mechanism from public on cleanliness. There were two categories of hospital assessed based on infrastructure, patient load, bed strength, support structure among others. PGIMER, Chandigarh was under category A. Other hospitals were AIIMS, New Delhi, Dr RML Hospital, New Delhi, Safdarjung Hospital, New Delhi, LHMC and Associate Hospitals, New Delhi, JIPMER, Puducherry, RIMS, Imphal, Manipur and Mahatma Gandhi Institute of Medical Sciences, Wardha. PGIMER Chandigarh stood third in 2016-17 and was awarded the first prize in 2015-16.